Nicole was visiting the US on her birthday but two weeks later came her cake surprise. 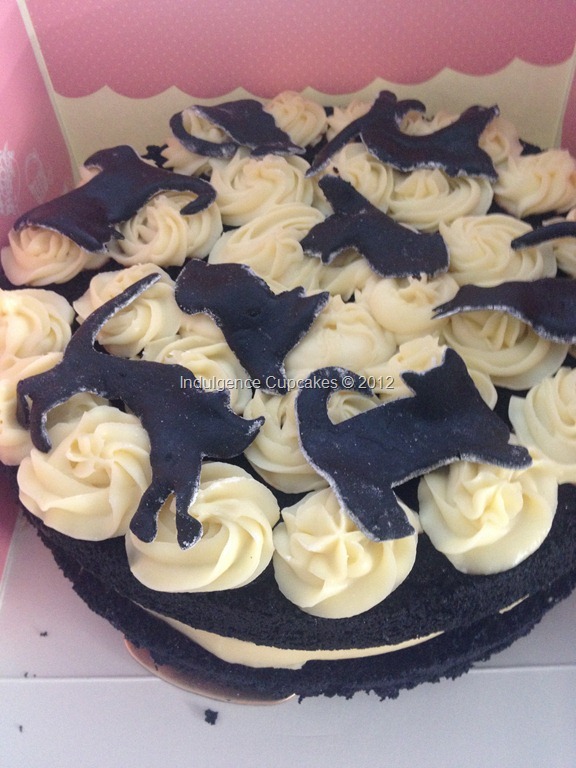 Everyone who knows her, knows of her love for her gorgeous black cat, Pablito. and as she loves red velvet cake (not as much as she loves Pablito) I incorporated that into her cake by making her a not-red-red velvet cake, with fondant Pablitos sprawled over the cream cheese frosting. 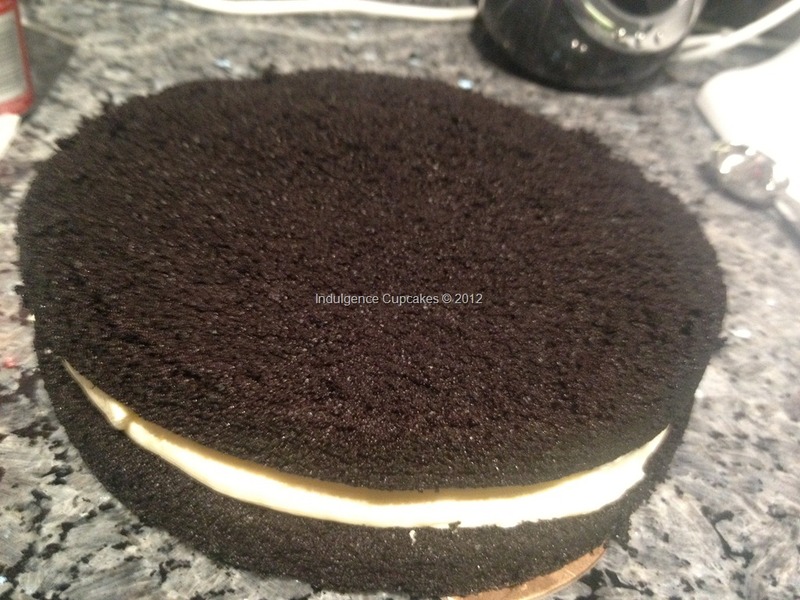 When preparing to frost the cake, I was struck by how much it looked like a giant oreo!